Boom, bang, and bling! These three words are enough to define our Bollywood bombshells. Our Bollywood actors and actresses go an extra mile in everything, be it a dance routine, or a heart rendering performance. So when it comes to the most awaited event in their lives, why should things be any different? These B-town divas are showered with utmost pampering, as their would-be hubbies grace them with grandest and biggest rocks, to show to the world, that these beauties, now belong to them, and have captured their hearts, for life. Let us take a look at some instances where these divas went ahead and flaunted these sparkling declarations of love. 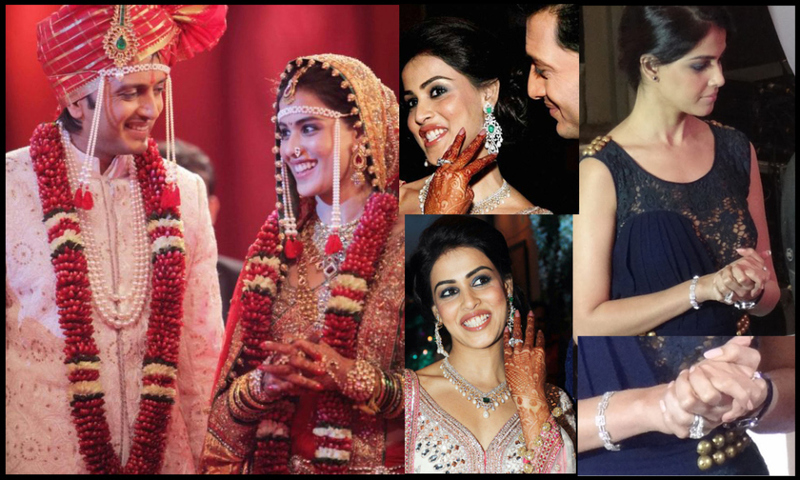 The actress is now Mrs. Rahul Sharma got hitched 20th Jan. 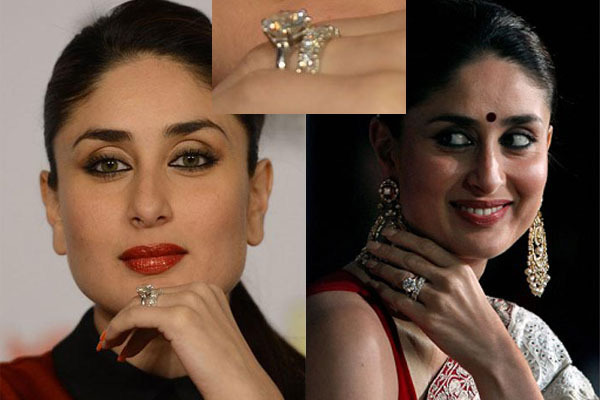 The ring, which is a 20-carat solitaire, is worth a whopping 6 Crores! Abhishek apparently went down on one knee for his lady love, with a 50-carat ring. Saif has a truly nawabi style, and that reflected perfectly in the 7-carat that he proposed his then would-be begum with. We might not know the value of this one, but the pride with which Genelia flashed it, and the loving look in Riteish has while she does that, is worth millions. They always had a non-committal nod ready whenever asked about their status. But one fine day, the gorgeous rock on Rani’s had said it all. Most get one, but this gorgeous lady got two! 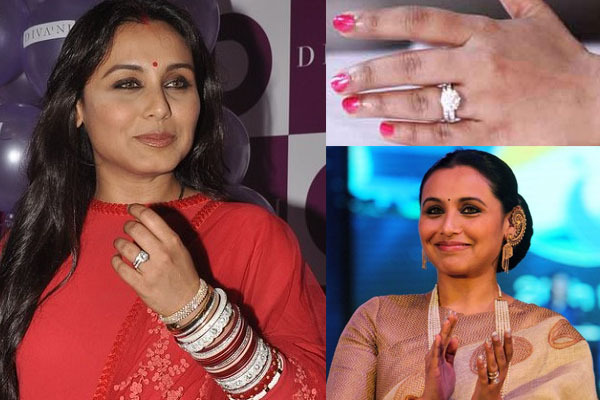 Yes, Bharat showered his beautiful wife with one beguilingly studded rock on the engagement day, and the other on the wedding day. Raj Kundra sure knew how to woo and win her over. 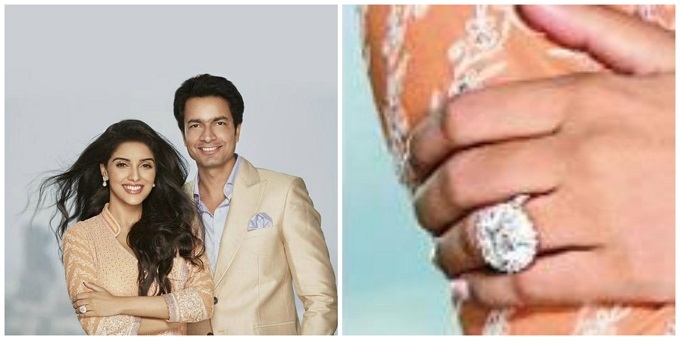 The ring that he proposed her with, was a 20-carat solitaire, worth 3-crores! Our hearts sure did some somersaults here. Know any other celebs rocks that we missed? Do let us know in the comments.